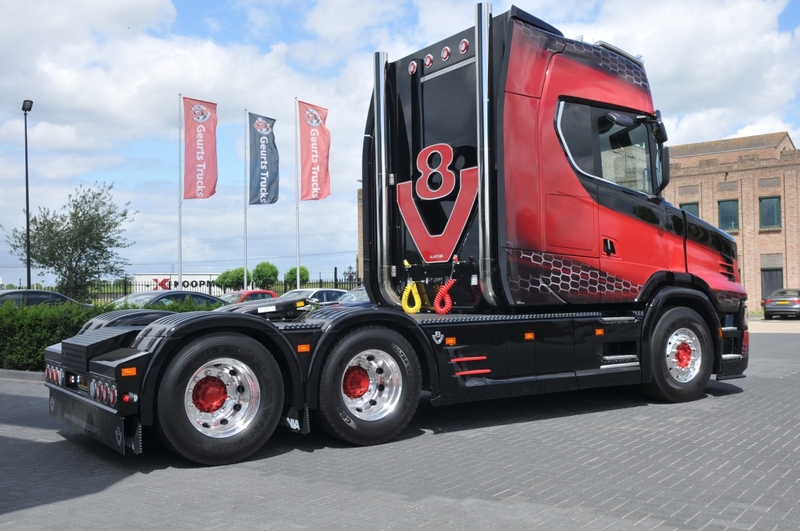 Dutch company Vlastuin has build the fourth ‘Nextgen’ bonneted Scania for Geurts Trucks. The truck is based on a Scania S650 Highline and is being rebuild by Vlastuin. The cab is set back and the bonnet is Vlastuin’s own design. The design of the artwork is inspired by the trucks of Svempas from Sweden. These colours make the new bonneted Scania look very good if you ask us! 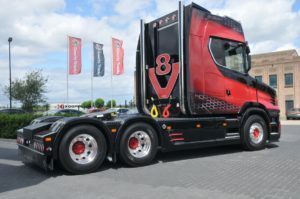 This is already the fourth bonneted Scania truck of the new generation that Vlastuin built. Ten others are in order at the moment. Vlastuin also stretches Scania cabs to make them look like the Longline model.